One of the bestselling Little Golden Books of all time. Once there was a tawny scrawny lion who chased monkeys on Monday--kangaroos on Tuesday--zebras on Wednesday--bears on Thursday--camels on Friday--and on Saturday, elephants! So begins the classic story of a family of ten fat rabbits that teaches the hungry lion to eat carrot stew--so that he doesn't eat them. In 1942, the launch of Little Golden Books revolutionized children's book publishing by making high-quality picture books available at affordable prices. More than 60 years later, many of the original Golden Book titles are still wildly popular, with The Poky Little Puppy topping the list of ten bestselling children's books of all time. Golden Books' backlist is teeming with classics such as Dorothy Kunhardt's Pat the Bunny, and features the stories and artwork of children's book legends Mary Blair, Margaret Wise Brown, Richard Scarry, Eloise Wilkins, Garth Williams, and many more. Today, the Golden Books imprint includes an array of storybooks, novelty books, and coloring and activity books featuring all of the most popular licenses, including Disney, Nickelodeon, Barbie, Thomas & Friends, The Cat in the Hat, Sesame Street, Marvel Super Heroes, and DC Super Friends. Golden Books continues to reissue the best of its backlist in a variety of formats, including ebooks and apps, as well as bringing out brand-new books in these evolving new formats. Gustaf Tenggren (1896-1970) was a well-known illustrator in his native Sweden before immigrating to the United States in 1920. He illustrated many Golden Books, beginning with The Poky Little Puppy. One of the original twelve Little Golden Books published in 1942, The Poky Little Puppy went on to become the bestselling picture book of all time. 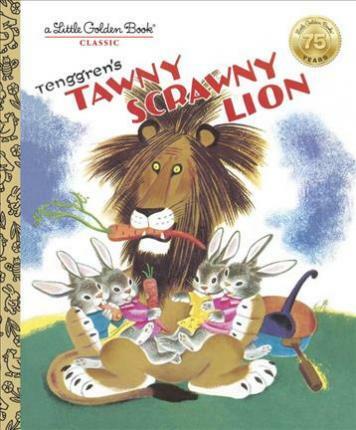 Other iconic Little Golden Books illustrated by Tenggren include The Saggy Baggy Elephant and Tawny Scrawny Lion. In the late 1930s, Tenggren worked for the Disney Studio, providing concept artwork (created to inspire and guide animators) for various characters and scenes in Bambi, The Old Mill, Snow White and the Seven Dwarfs, Pinocchio, and Fantasia.